A growing body of evidence supports the effectiveness of acupuncture in increasing the chances of successful IVF treatment. It seems likely that at least part of this is due to the ability of acupuncture treatment to promote relaxation and thus enhance blood supply to the lining of the uterus. There is also evidence to support the ability of acupuncture to help regulate endocrine function in sub-fertile women and men, leading to increased chances of conception. Of particular note is its effect on polycystic ovary related fertility problems. How does Acupuncture assist Infertility? 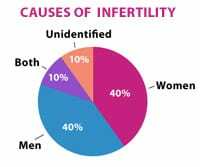 The causes of one person’s difficulty conceiving are inevitably complex. Diagnosing the individual pattern of disharmony responsible is at the heart of traditional acupuncture’s approach to treatment. In order to arrive at an appropriate diagnosis the acupuncturist will usually take a full case history as well as using information gained from taking the pulse and looking at the tongue. In TCM the radial artery pulse is taken on both wrists with the quality of the pulse being compared between the two wrists and at different distances from the wrist crease. The tongue displays significant variations in colour, shape, size and coating. TCM correlates these changes with disorders of different organs and body systems. These changes are then linked back to the individual’s disorders and treatment is devised accordingly. An acupuncturist will make an individual diagnosis and select an appropriate combination of acupuncture points which may vary from week to week as the treatment progresses and according to the stage of the menstrual cycle. So one treatment may use points on the back, perhaps after the period, while another prior to the period may involve points on the hands and feet. Treatment will usually involve the insertion of 6-12 fine, sterile, surgical stainless steel needles and their retention for 20-30 minutes. In most individuals withdrawal of the needles leaves no mark as the natural elasticity of the skin closes the point again without bleeding or bruising. 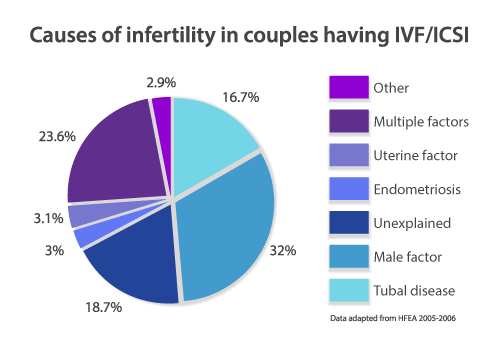 A standard course comprises six treatments but, as with many long standing conditions successful treatment of infertility can require several courses of treatment to achieve results. In most cases treatments will be fortnightly, although monthly treatments can be appropriate in some cases. Acupuncture is widely regarded as a safe and reliable therapy and is increasingly used by medical doctors and physiotherapists, as well as traditional acupuncturists. Only sterile, single-use, disposable needles are used. Competence is ensured by membership of a professional body with rigorous standards of training and professional conduct. Being treated with acupuncture is not just about being ‘done to’, it is also about actively managing one’s own health and treatment is a partnership between patient and practitioner. Factors including diet, exercise and work-life balance have all been shown to have an impact on fertility outcomes and your acupuncturist can help you with appropriate choices in these areas.